With heaviness of heart, I'm writing to let you know that our invaluable Executive Director, Mary Jo Ruccio, has decided to retire in Spring 2016. This will actually be Mary Jo’s second retirement. 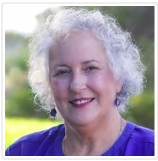 She came out of her first in 2008 to help establish Enneagram Studies in the Narrative Tradition as a nonprofit organization to carry on the work Helen Palmer and David Daniels launched in the 1980s, and has played a critical role ever since. She has brought a wealth of experience in nonprofit management, a deep commitment to the work of expanding human consciousness, a compassionate heart, a wise soul and clear head, a calm demeanor, a steady hand and a wry sense of humor to the task. We have all benefitted immensely from her presence. With Mary Jo’s guidance, ESNT has developed a solid organizational and financial structure, created a first-rate website, updated and expanded our curriculum and course offerings, and extended its influence into new communities throughout the United States. It is no exaggeration to say that we simply could not have accomplished what we have without her. I’m glad we’ll have several months to tell her how much she has meant to the Enneagram Narrative community – it will take at least that long. She has more than earned her rest. Mary Jo will be a difficult act to follow, but the Board is going to do its best to find a successor who can build on her accomplishments and to support that individual in growing the Enneagram Narrative to become all the force for change in the world it can be. The ESNT Board has appointed a search committee and established a selection process for the new executive director. Board members Gerry Fathauer and Chris Copeland will co-chair the committee and will be joined by Terry Saracino, Jack Killen and Evangeline Welch, three people whose enduring commitment to the Enneagram in the Narrative Tradition is well known. For more information about the executive director search process, go to www.enneagramworldwide.com/edsearch.